The All Blacks in Rome! The All Blacks, New Zealand’s national rugby team, will play a test match against Italy in Rome on 17 November, according to the Italian Rugby Federation. The New Zealand national rugby union team, known as the All Blacks, represent New Zealand in what is regarded as its national sport. The All Blacks are the Rugby world cup champions, the IRB’s current Team of the Year, the leading points scorers of all time and the only international rugby team with a record winning margin against every test nation they have played. The All Blacks have held the top ranking in the world for longer than all other countries combined and in over 100 years only five test rugby nations have ever beaten New Zealand. It will be the first time that the All Blacks have played at the 72,000-seater Stadio Olimpico, as the last time Italy hosted the formidable squad from down under was in 2009. That game was played in Milan’s S. Siro stadium in front of 81,000 spectators, and the All Blacks won 20-6. The last time the All Blacks played in Rome was at Flaminio Stadium – currently no longer being used by the FIR – when they hammered the Italians 59-10 in 2004. The champion team is known for performing the fearsome “haka” (a traditional M?ori challenge) before each international match. During their northern hemisphere tour, the All Blacks will play Scotland on 10 November, then Italy, Wales and England over the following Saturdays. Italy plans to face Tonga on 10 November in Turin, and Australia on 24 November in Bologna. For more information about the city and to get the best rates in accommodation, send us an e-mail or check our website! Rugby in Rome: 6 Nations 2011! – Rugby enthusiasts will flock from all around the world to the Eternal City to assist to the competion where the most powerful European teams fight for sportive glory. 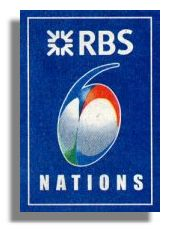 As every year, rugby fans from all around the world are rubbing their hands in anticipation for the upcoming edition of the 6 nations championship to take place beetwen February 4 and 19 March 2011. The tournament brings together on a yearly basis the most powerful European rugby teams to compete for the continetal championship. The system is quite simple: each team plays every other team once, with home field advantage alternating from one year to the next. When a team wins a championship without being defeated it achieves a Grand Slam. Of course, the most powerful teams are those with a strong rugby tradition like Ireland or England, but more “latin” countries like France and, more recently, Italy are developing a growing passion for the sport drawing bigger crowds to the stadiums each year. On this edition of the tournament Italy will be playing in its home filed, the Sadio Flaminio in Rome, against ireland on February 5; Wales on February 26 and France on March 12. All the matches are great opportunities for Rugby enthusiasts to enjoy their favorite sport while getting to know one of the most beautiful cities in the world! Don’t hesitate anymore and make a booking now at Yes Hotel or Hotel Des Artistes, your best options for accomodation in the Eternal City!